Elaine and Leung Ho with River Lodge 3 residents and care workers. Some residents in the special dementia wing of Rand Aid’s Ron Smith Care Centre enjoyed their first session of Horticultural or Gardening Therapy on May 10, 2017. They watched curiously as plastic sheets were laid on tables and various gardening supplies set out for them to use. Gardening Therapy is a relatively new approach, and is based on the premise that there is a special relationship between people and plants, which form part of their natural surroundings. This special relatiosnship is what brings certain therapeutic benefits to the participants. In the introductory session, care workers came to assist. 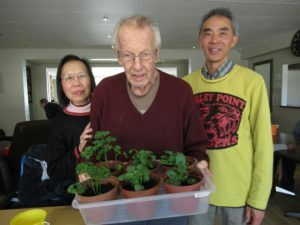 Elaine and Leung began with a sensory activity involving residents rubbing lavender, mint and a special plant variety called apple mint, between their fingers and smelling the beautiful aromas. Next they filled pots with potting soil, and planted parsley and pansies (for colour), and finally watered their plants. These two volunteers ended the session by explaining how to continue caring for their new plants. 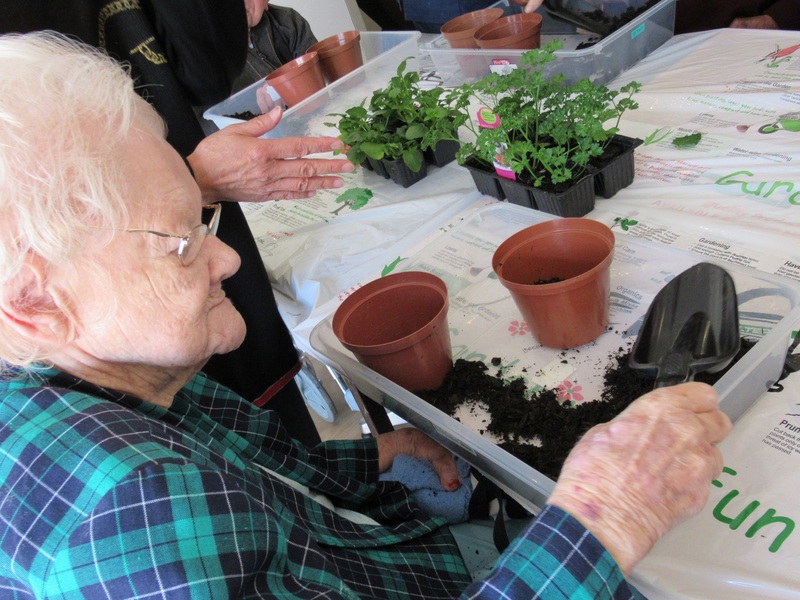 With some practice over time, these enjoyable gardening tasks can enhance sensory and memory stimulation as well as orientation, while providing mild exercise, movement, and a sense of community and decreasing feelings of loneliness and isolation. 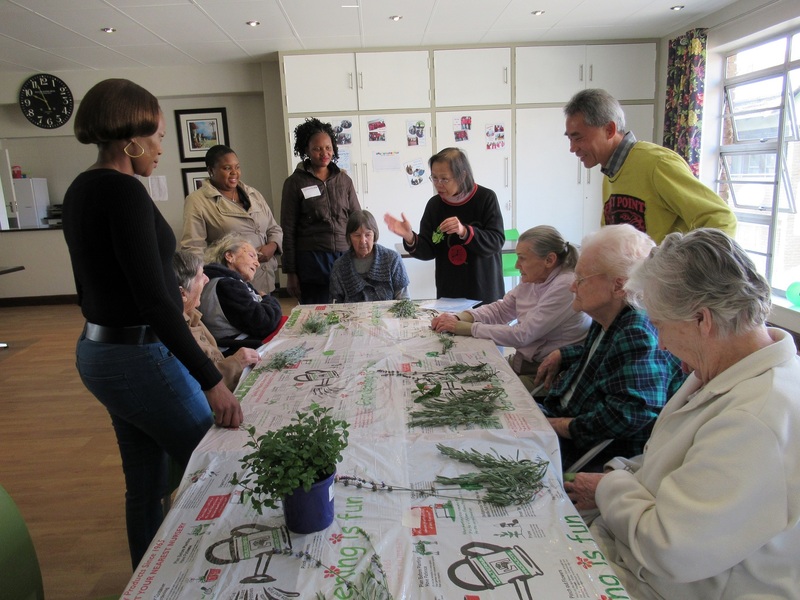 This activity was enjoyed thoroughly by the residents and the care workers alike. They will all be caring for the pansies which should be flowering soon! Noel Tilney prepares her pots for planting. Elaine and Leung Ho with David Eatock and the planted parsley and pansies.